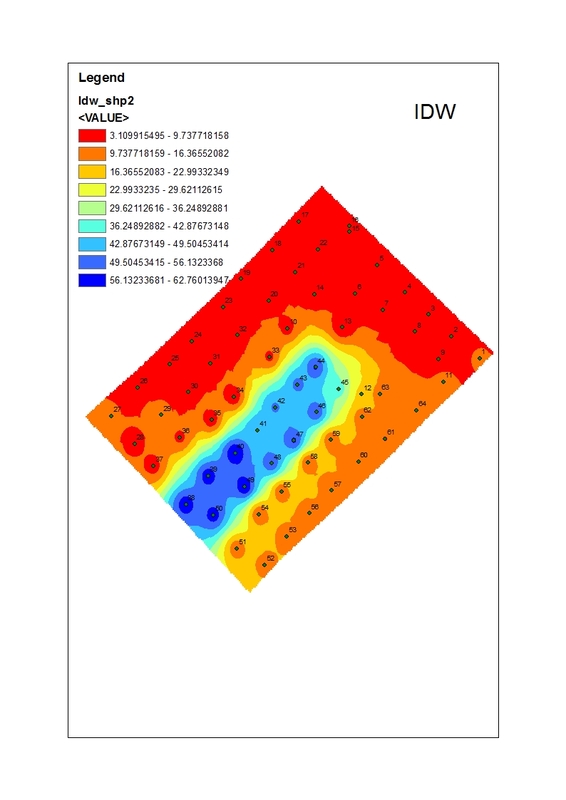 I have XY coordinates and soil moisture values for a grid of 10m and I used add XY data to import my excel data to ArcMap 10.5. I applied both IDW and kriging methods for interpolation. The results are very different and after studying a bit about the differences, I still cannot say which one is more accurate? 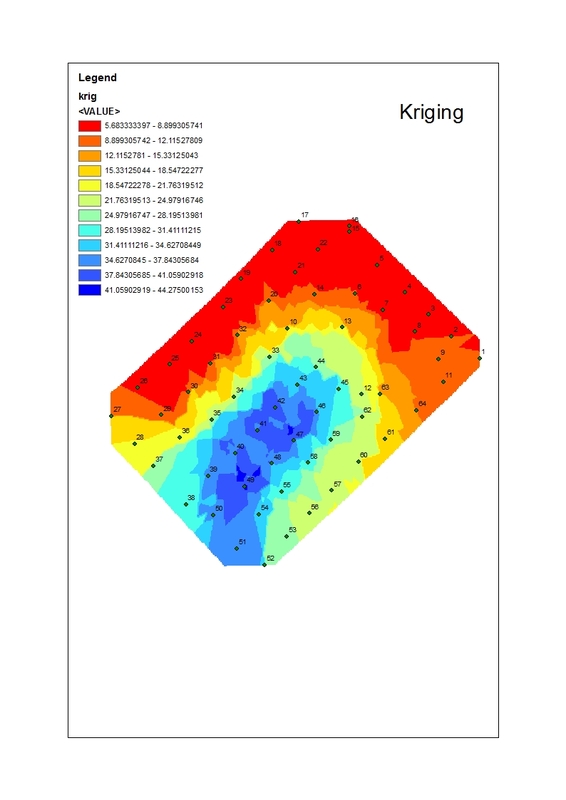 My second problem is that kriging gives the min and max value of 5-44, while IDW gives the range between 3-62 and my actual soil moisture values are closer to the values of IDW. I did not change any default while processing these two methods and I do not know why kriging just deletes some of the most important soil moisture values after 44 m3.m-3. I attach the two images for comparison if anybody can help. In your case, the best tool to get a quick result would be a TIN. Not the answer you're looking for? Browse other questions tagged interpolation kriging inverse-distance-weighted or ask your own question.